Not that long ago, I did an in-depth post about the look of the drawing room. Since I’ve added a mood board of suggested furnishings and links to interesting DA posts around the web, I decided to reprise a bit of the previous post, which you can see here, with added tidbits. In other words, I like it so much, I’m doing again! If you like pink and green – which I do – then this is a room with a capitol R! 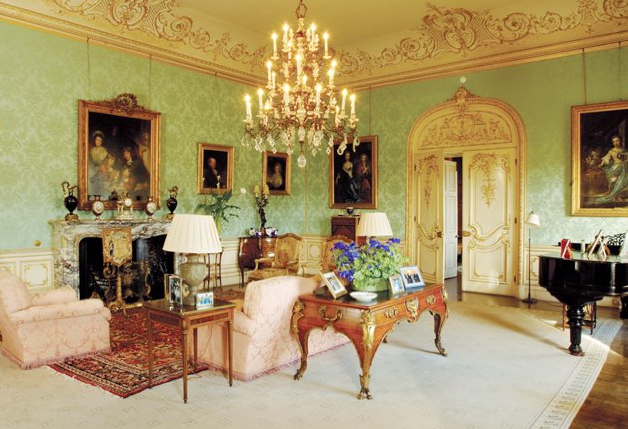 The two images above are taken from Highclere Castle’s website and feature a large plain area rug over which sits a dark red Oriental carpet centered towards the fireplace. 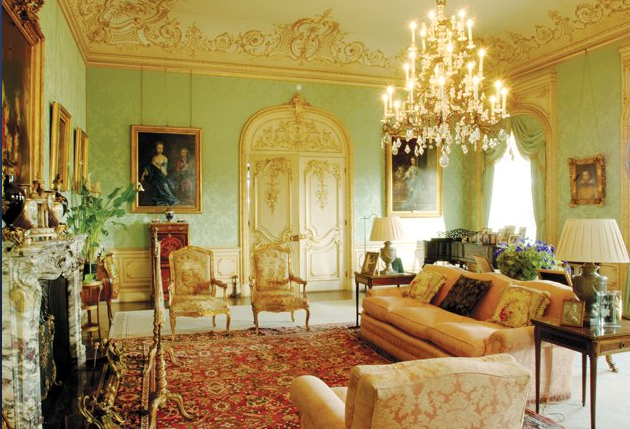 Notable because in the series, the room features a lovely pale pink Aubusson carpet. I much prefer the pale carpet in this room. Note in the image above, you can see on the left the actor’s “mark” on which to stand for filming the scene. 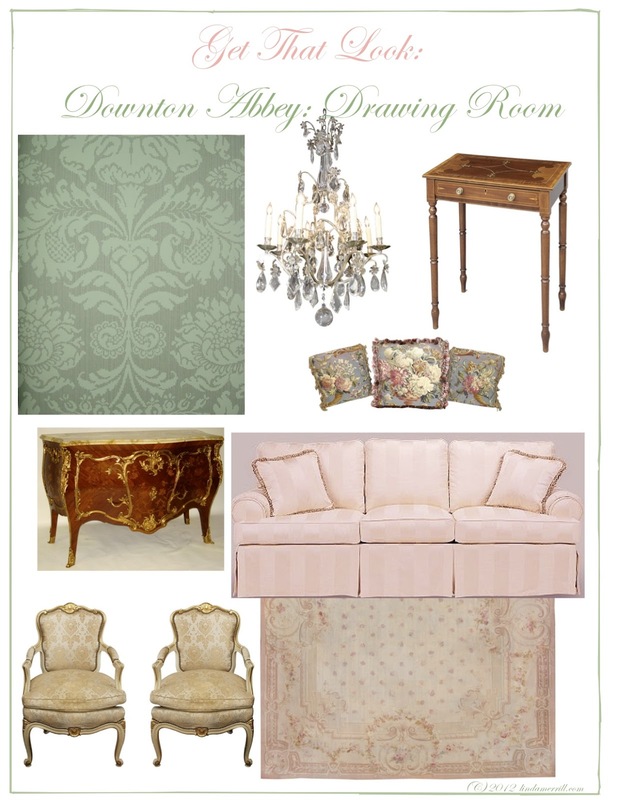 Visit my Downton Abbey Drawing Room Board on Pinterest for additional images, links and credits for all of the above above. 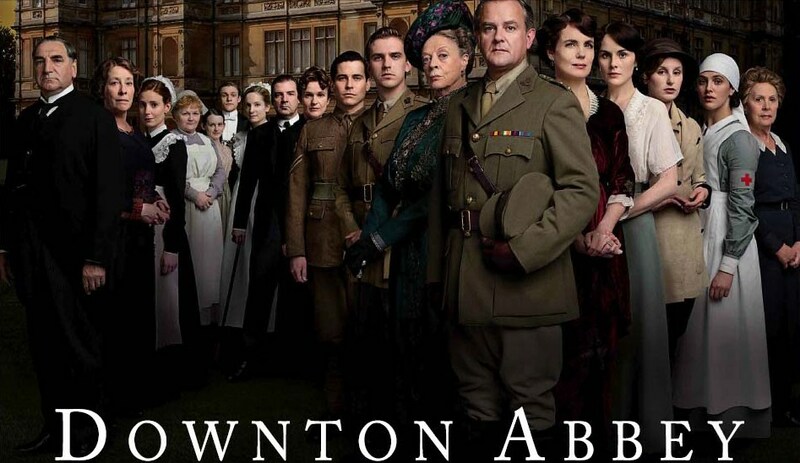 Vanity Fair did a lovely profile, written by Andrew Davies, on Rebecca Eaton, Executive producer of Masterpiece at WGBH/Boston, presenters of Downton Abbey on PBS. Having worked there and with Rebecca on video distribution of Masterpiece [Theater] programs in the past, I was tickled to see her so honored. Plus, the photo by Annie Liebowitz is amahzing! LA Times blog has an interesting piece on the location for the series. Laurel Ann over at Austen Prose has also been covering the show with weekly recaps. which are not to be missed, especially if you have missed any episodes! Vic over at Jane Austen’s World continues to plum the depths of DA with a humorous post on the various couples in the series and a more serious post on teagowns and relaxation in the period. See all Vic’s posts here. The Lamps of Downton Abbey is a new Tumblr site in which the lamps themselves provide commentary on the scene. Note however that this site contains spoilers of upcoming plot lines. It was announced this week that Shirley MacLaine is joining the cast in Season 3 to play the role of the American mother of Cora, the Countess of Grantham (played by Elizabeth McGovern]. This news has been met with resounding hurrah’s as well as boos. Time will tell.